My son graduated from Rutgers-Camden’s Honor’s College in 2010, and my daughter will be graduating from Princeton University June 2014! I am so grateful to God that my husband and I have raised two wonderful, self-sufficient children. I was a stay-at-home mom from the time they were born until now. It probably would make more sense for me to call myself a stay-at–home-student-dancer-tutor-author- mom. For the first 14 years of my marriage, I went to school part-time until I got my degree. The next 13 years, I ran a tutoring business from my home. Before I registered the business, I asked my children if they were okay with me teaching other children in our home afer school. I explained that they both did so well in school, that I felt I had the time to help other children in our neighborhood. They were excited about it. In fact, I even employed them for awhile because to be quite honest with you, there were many things they knew that I did not know like how to operate those fancy new calculators. When I taught algebra, I was still drawing graphs by hand! With the cooperation of my own children, I managed to tutor about 25 students a week for quite some time. It was the ideal job for me. I was home every day my children came home from school and…oh well, let me correct that because my daughter refused to ride the school bus when she was in middle school. She said the kids were too crazy. I thought she was exaggerating until I started picking her up from school. Crazy was an understatement. She insisted on going to prep school for high school, and even though it was an academically sound school, my daughter discovered that those students were crazy, too. A different kind of hateful crazy. I will have to write a blog on that some day. After a huge truck almost ran into her car on 295 and she drove on the curb a few times, I started driving her to and from school every day. I don’t like driving at all, but I would do anything to make my children’s lives more comfortable. We have a grandson on the way, our first grandchild. My son and his wife are having a baby boy! I am so excited, and my husband is just nuts because his name is going to be Jeffrey! Folks keep asking what “Super Little Jeffrey” is going to call me. My daughter calls him “Super Little Jeffrey” because my son was always called “Little Jeffrey.” Maybe we will just call my son by his nickname so we can call his son “Little Jeffrey,” until he gets to be taller than his dad like my son. 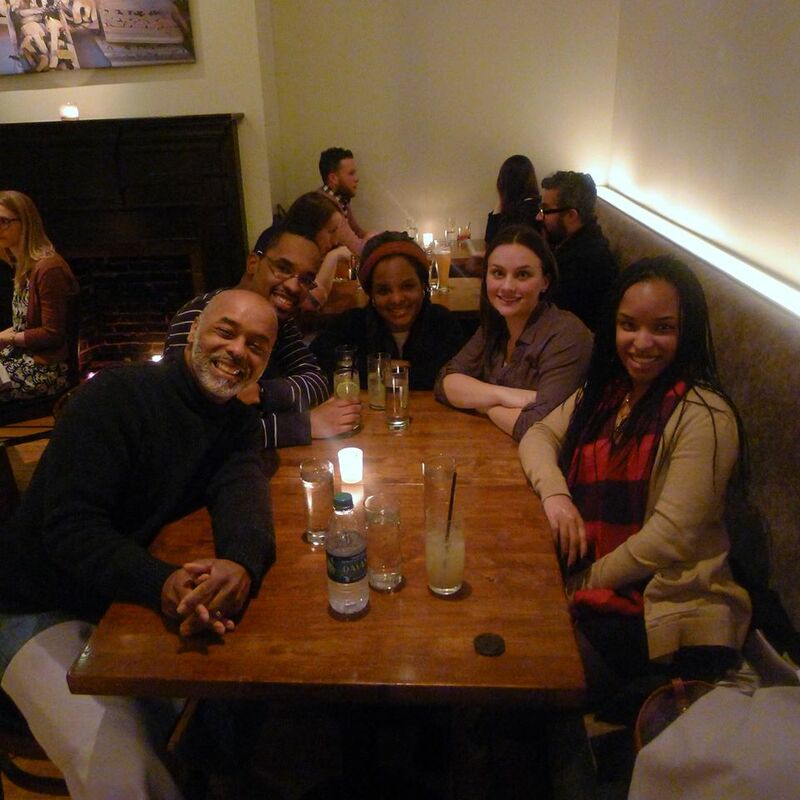 My family and I are celebrating my daughter’s 22nd birthday at Vedge in Philadelphia. What was I saying? Oh yeah, I am going to have my grandson call me, “Grandmom!” Yes, I am! That is what I am going to be, and I am proud of it. I don’t want to be called “MeMom” or “Glam Mom” or any of those even stranger names for folks who don’t want to be known as grandmothers. Well, I am speculating, maybe they have other reasons for not being called Grandmom. So…another question folks ask me is if I am experiencing empty nest syndrome. Not really. I feel like my nest has been empty for 4 years. My daughter was in school all fall and winter and she studied overseas in the summer. She has spent more time away from home than at home over her college career. The great thing is, my sister had a baby a few years ago. I call him my nephewbaby. He and I are very close. 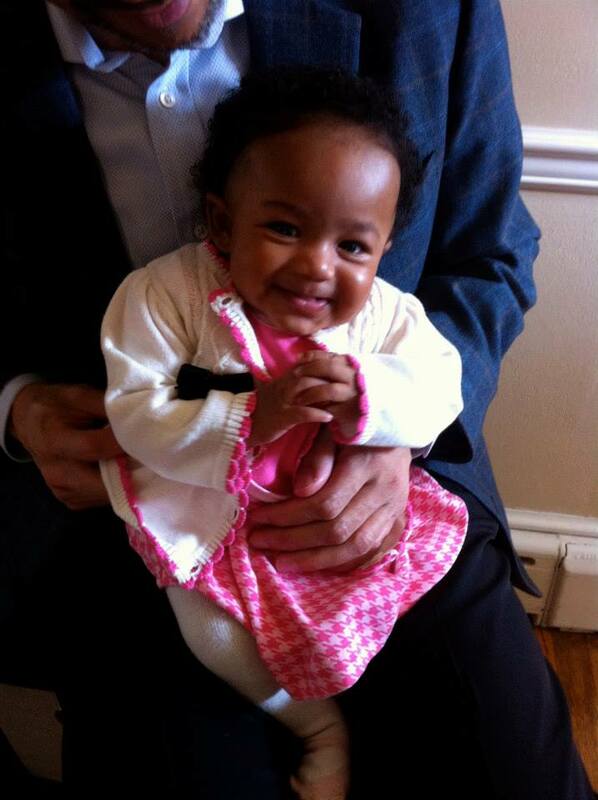 Now she has a baby girl, who looks just like my daughter when she was a baby. And my grandson is on the way, and guess who is lucky enough to be watching him? Me! His mother is working on her PhD, so “Super Little Jeffrey” and I are going to have a wonderful time. So when is it my time? Rearing the children in the family IS my time. It is the joy of my life! Who could have empty nest syndrome with this doll baby around? I still tutor from time to time. I just don’t have the mental stamina to tutor 25 students a week anymore! I also teach dance, and as you probably know, I am an author. I am the president of the Women’s Ministry at my church. My husband and I are taking some classes (MIT) together and I am going back to school to get my Master of Fine Arts in Creative Writing at Rutgers-Camden. My goal is to publish more books and teach Creative Writing at a university. Well I have been just writing this without editing, so I hope you weren’t too bored. I haven’t been on here in awhile so I figured I would catch you up on some things. I am also diligently working on my next devotional. Maybe I will share an excerpt from it this week. You can let me know what you think about it. Honestly. Oh, i am too..tired to revise or even read this over tonight. I hope it makes some kind of sense. I enjoyed reading every bit of this. Congratulations on your soon coming grandson. You have raised a beautiful family and your love for them is so sweetly expressed. God bless you, too! I was just on your page. I miss reading your work! and you young lady are beyond gorgeous! When you are 46 like me, you will look 20! Oh, I am glad it did…it was late lol You are so encouraging! My mother always said, “It is wonderful to stay home with your children, but get your degree.” Jeff was also pushing me to get it. 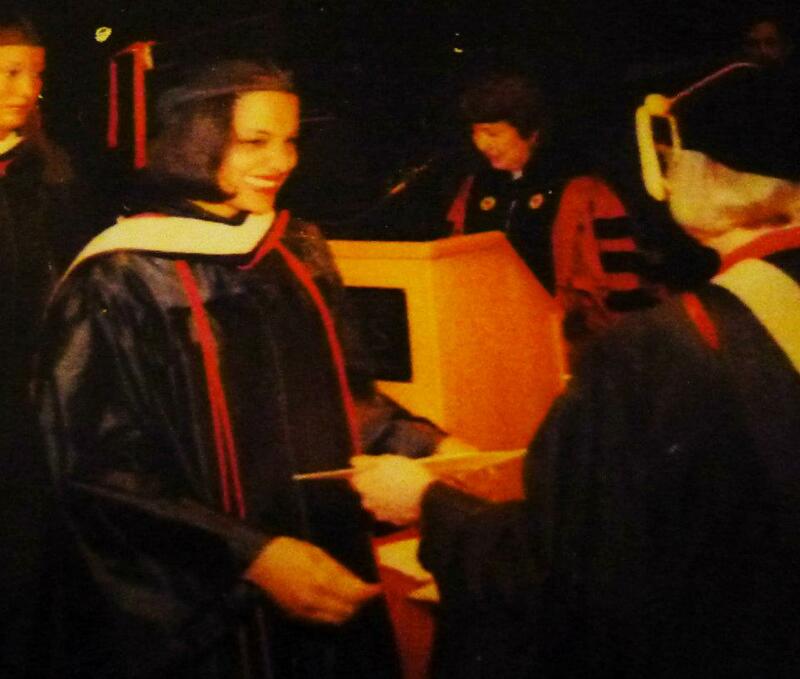 I kept going in-between my surgeries and my daughter’s surgeries and 14 years later, I got it~with highest honors, now you know that was God! Thank you; I always wanted to be Professor Jones 🙂 lol!! I am proud of you, too!!!! Ms. Daily Inspiration!!! Love you, Girl!!!! You are well on your way Professor! Your mom schooled you well! I love you too! I stay stay encouraged and inspired by your work. You ROCK!